inkbox tattoos come with everything you need to apply at home. Read on for tips on how to get a dark, clean and crisp result. Though most tattoos will fade evenly, we've experienced some that don't. If your tattoo is fading unevenly then you can use your thumb to rub the darker areas until the color looks even again. This is best done in the shower. We don’t recommend applying inkbox on body parts with dense hair. The more hair there is, the more room there is for error. Dense hair creates a barrier that does not allow for the adhesive to stick directly to the skin. This can cause the ink to leak during application, or for the tattoo to be underdeveloped. If you’re questioning whether or not to shave the application area, we’d suggest going ahead and shaving it the day before applying the tattoo. Don’t worry about sparse or little to no hair, this should be fine and will allow for a good development. Some spots are easier to apply inkbox than others. With our catalog tattoos, since you need to apply firm pressure we’d suggest a hard, flat part of your body like your inner forearm or upper thigh. These locations are easy to apply the pressure that’s needed for a dark and clean tattoo. If you want to apply a tattoo somewhere like your back then we’d suggest grabbing a friend to help you out! With our freehand ink, you can easily apply your tattoo anywhere you can comfortable reach and draw. Your hands, feet, ankles and wrists have distinct grooves in the skin. It's generally best to avoid applying to an area of skin where you have noticeably deep grooves. The formula will naturally seep under the adhesive through these ridges, leading to potential leakage. 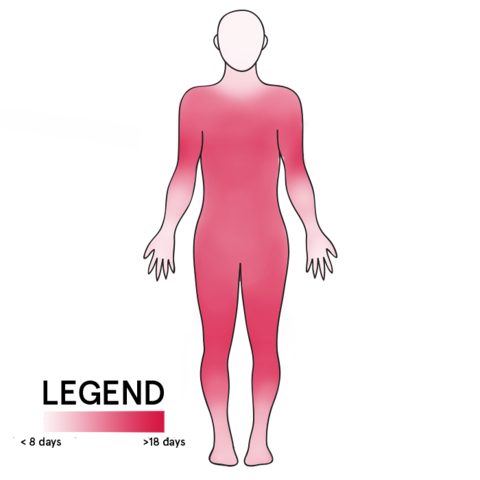 If you choose to apply your tattoo in one of these areas, please ensure that your skin is clean and dry pre-application, and thoroughly washed post-application. During the first 24 hours of development, be sure to keep your tattoo away from skin-on-skin contact while sleeping. We’d recommend wearing loose clothing over the area for the first night to prevent this. Trust us, or you might be surprised when you wake up with two tattoos! Here’s a helpful guide to the longevity of your inkbox based on where it’s applied. Before applying your tattoo you can exfoliate the area to get rid of dry skin. Doing so will help the ink sink deeper and last longer. Keeping your skin well-moisturized is the best way to help your tattoo last as long as possible. Once the tattoo has fully developed, moisturize your skin daily and avoid scrubbing the area. Since our tattoos are waterproof, you can go ahead and shower or swim with your inkbox. Repeated swimming won’t wash off your tattoo, however it may lessen its longevity. Salt water can be especially abrasive to the skin. To help prevent this, you can apply your favorite balm or petroleum jelly over your tattoo before coming in contact with water. When drying off, make sure to avoid any heavy scrubbing to the tattooed area and just pat it dry. You won’t be able to remove your tattoo immediately, but there are a few ways to accelerate its fading. Scrubbing multiple times with an exfoliant is the best way to gradually remove your inkbox. We find it best to rub the tattooed area using a washcloth with an exfoliant in the shower. Salt water is also a great natural exfoliant to use. 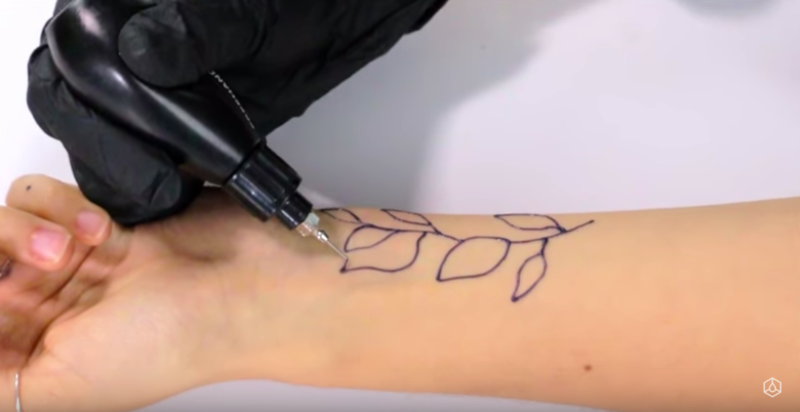 Most tattoos will fade evenly, but if your tattoo is fading unevenly then you can use your thumb to rub the darker areas until the color looks even again. This is best done in the shower. Reactions are a highly uncommon occurrence. 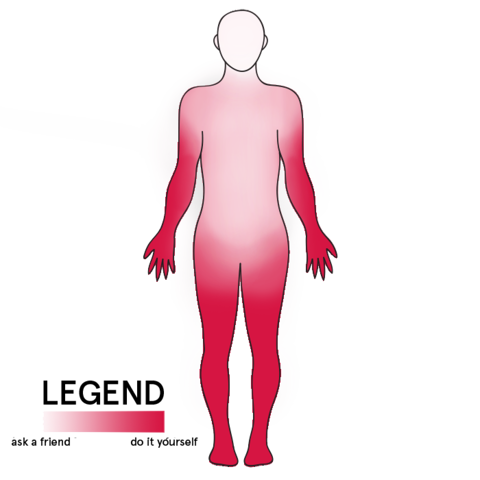 However, as with any product that comes in contact with your skin there runs a small chance of having a reaction. We strongly encourage you to test the ink first to make sure it’s right for you. If you’re experiencing redness after applying our catalog tattoos, it’s likely from peeling the adhesive too quickly or in the opposite direction of hair growth. This is referred to as “skin stripping”, which is a peeling of your epidermis. This it highly common with adhesives and bandages. The redness will disappear over 1-3 days as your skin regenerates. Please reach out to us at hi@getinkbox.com if you have any concerns or questions! Please note: This product uses a metal tip, which may contain metals associated with metal allergies.